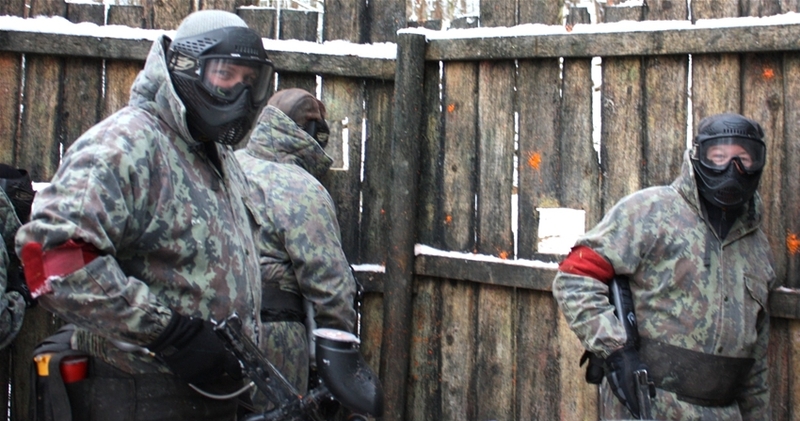 We run 2 paintball sessions daily (depending on numbers). Each session must have a minimum of 6 participants. Sessions last for 3 hours, including briefings and kit issuing. 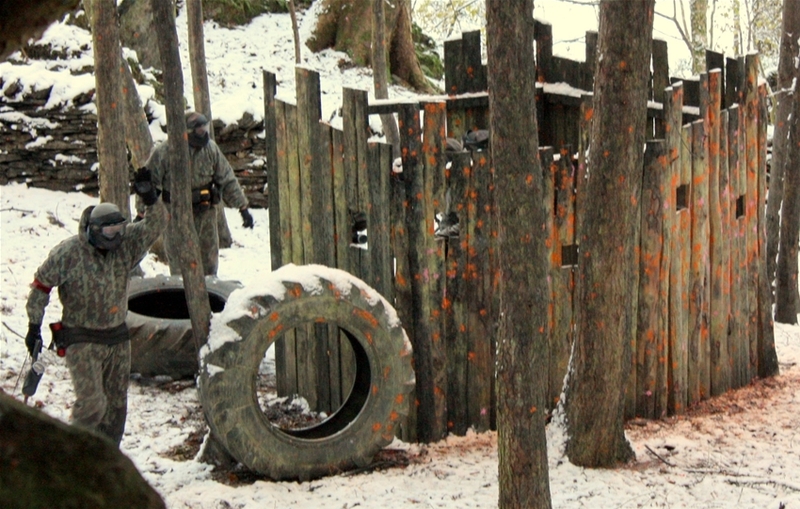 During the course of a paintball session it is envisaged that participants will get to play in 6 or 7 different games played in different battle zones. We have 3 different battle zones. 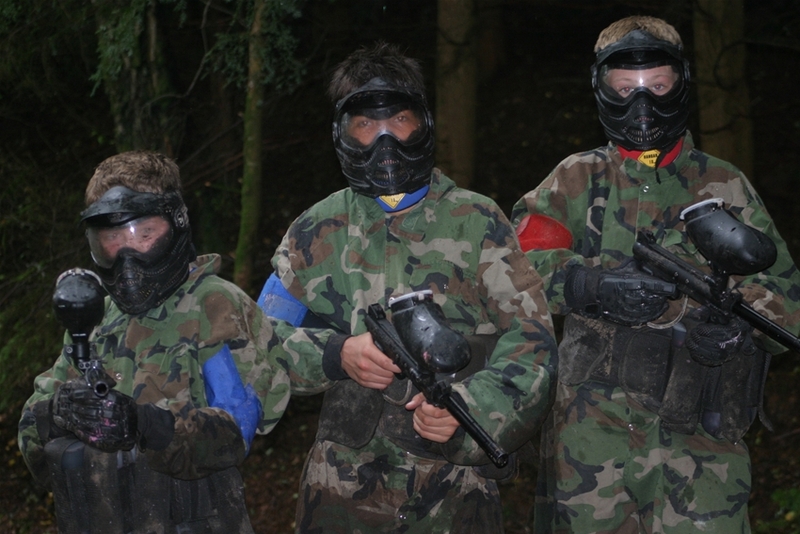 We have a variety of different options for your session. What do I need? : You need to wear trainers or walking boots. 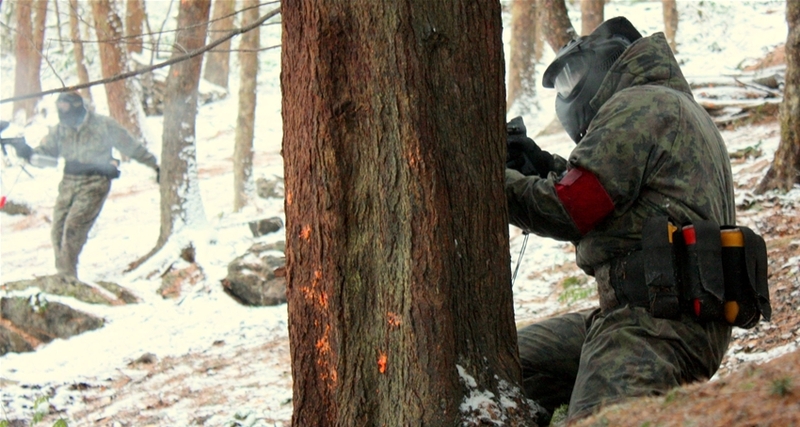 You will be given protective clothing and overalls for your session. What is the minimum age? : 10 years old but under 18's need to be accompanied by an adult. What times do you do it? : 9.30am and 2.00pm. What's the minimum group size? : We need 6 people to run a session and can take up to 30 in one go.